Your device doesn't support Unity WebGL. Try loading this page on a desktop to play! Covers are a great exercise for learning from masters in game craft. They're an even better excuse to try something new! 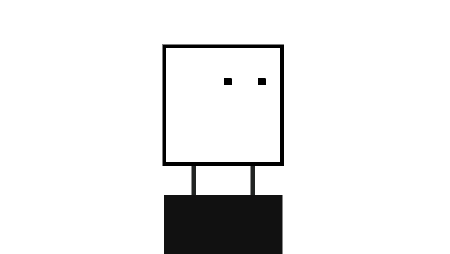 Since platformers are the true bread-and-butter of great feeling gameplay, I decided to start with a BOXBOY! Cover. The game's mechanics are a perfect introduction: the platforming is digital (i.e. simpler), with the "copy" mechanic providing additional complexity. BOXBOY! works overtime keeping everything aligned to an invisible grid. Pressing "copy" nudges Qbby to the closest open grid cell. 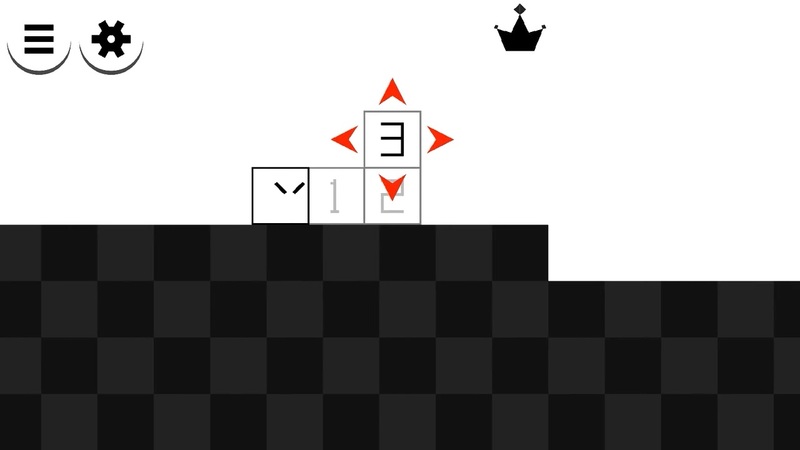 Blocks - whether thrown from above or the side or off a cliff - always move exactly one cell away from Qbby. All of this serves as positioning auto-correct, effectively filtering out finicky input error and guesswork. 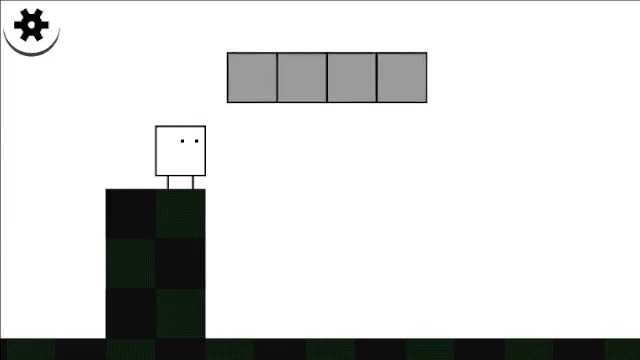 Reimplementing BOXBOY! made it abundantly clear it's a puzzle game through and through. The only color in the game is used exclusively for copying - the main puzzle mechanic. As well, the underling grid structure helps players always be in the right position. This explains why the game uses digital jumping input. 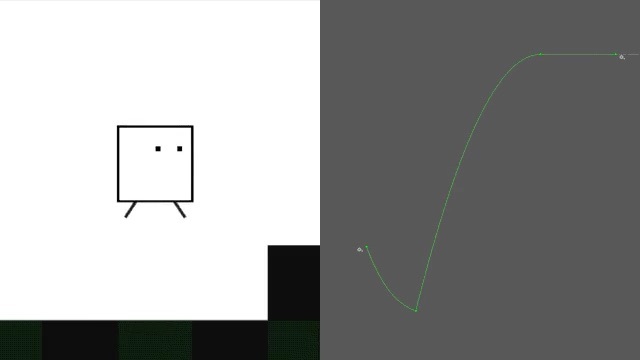 Furthermore, Qbby spends half his jump resting at the peak, making jumps over objects more likely to succeed. 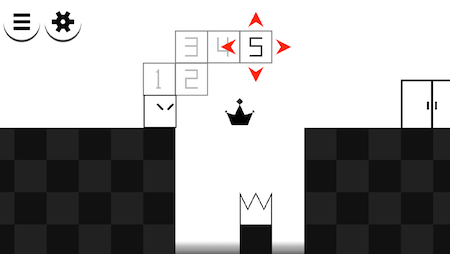 His legs are ignored during jumps, giving players additional wiggle room when maneuvering. The camera only moves with player input. Moving left or right moves the camera laterally. 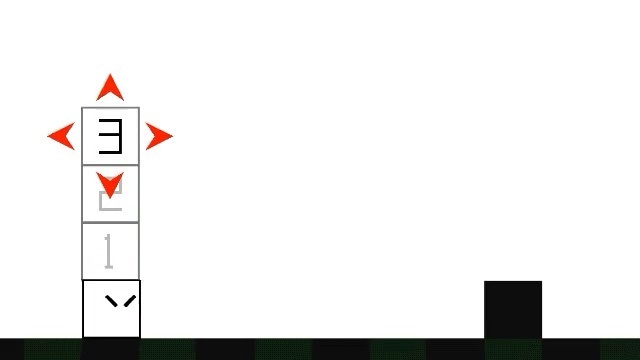 Copying smoothly moves the camera to frame Qbby and his blocks. The camera's reluctance to move further prioritizes stop-and-think-a-minute puzzle solving over twitchy action. Qbby's character design communicates a lot of gameplay values. The horizontal positioning of his legs detail when he'll "clamp" to the grid, and show where he'll slip off ledges. The height of his legs determine how much buffer is applied to his collision box. 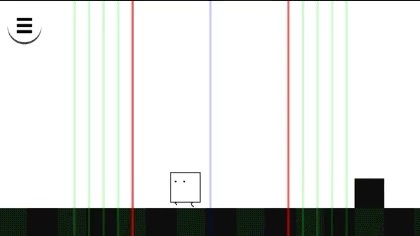 BOXBOY! 's particles offer a nice mix of authorship and randomness. 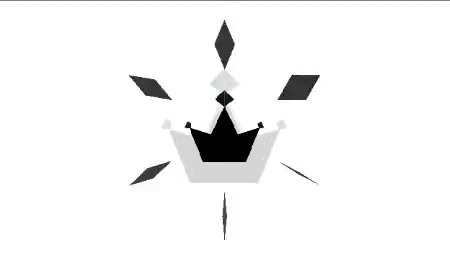 The "collect crown" effect shoots diamonds evenly in six directions (authored) and then collapses into a puff of squares (random). It's a nice reminder to design effectively: mix upkeep-intensive-but-perfect authorship with set-it-and-forget-it randomness. The perennial lesson of Covers: make everything faster. 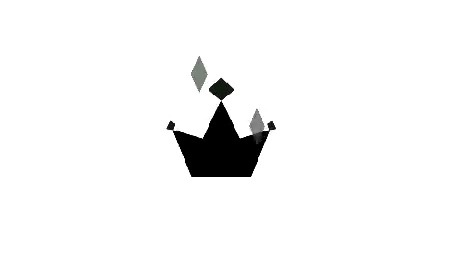 Animations last a measly 5 frames, and many of Qbby's state changes are a scant 2 frames. This speed allows players to iterate through puzzles quickly and reduce the overall friction of trying out a new puzzle hypothesis. Be forewarned - simplicity is a slippery slope of implementation! A minimalist art style puts just about everything into the realm of possibility. This led to reimplementing tangential features that had little to do with Qbby's actual movement controller.